Through business cards the perspective of the organization, its forte, specialty and designation are imparted to the people. 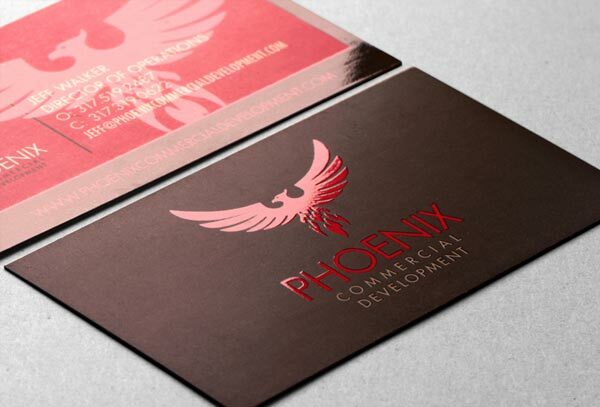 If the outlook of a business card is appealing enough, eventually it will turn out to be a major key point of subsequent success of the company. 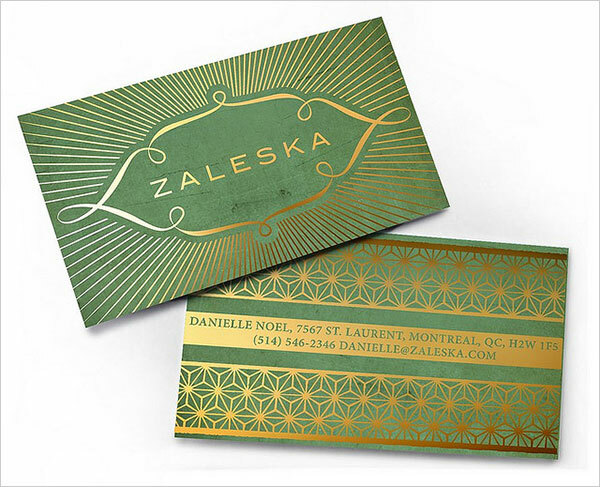 Today I am bringing before you 5 types of printing techniques for business cards with examples so you will have a full-fledge idea how business cards should be made and looked so classy. 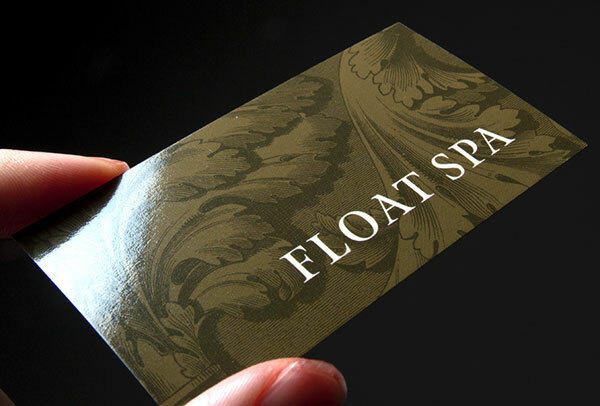 This printing technique is much common these days; people like to have a glossy effect on the business card so it may not look so ordinary like a rough old card. 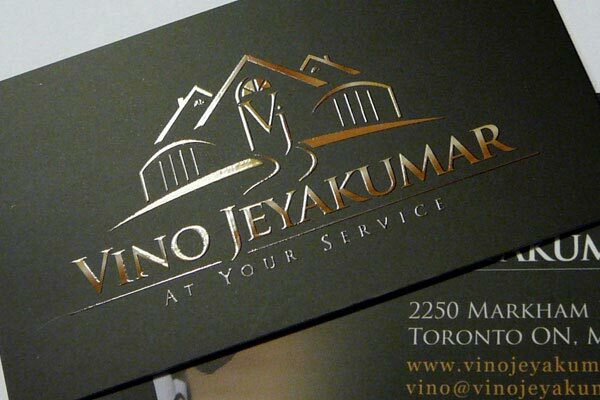 Varnish is a matte coating on the card that helps card’s durability and also protects it with shiny coat on the top. 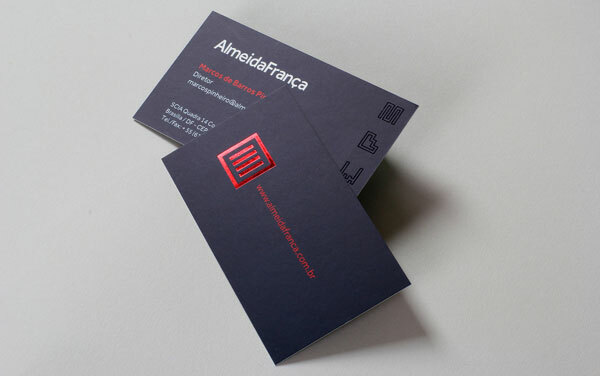 The design of the business card is enhanced through this printing technique. 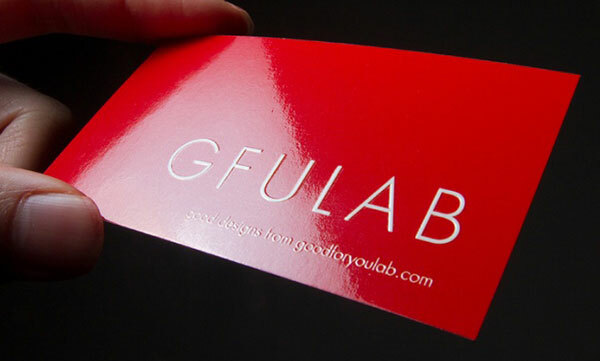 Through Spot UV, only certain parts/zones of the business cards are made to appear richer and glossier. 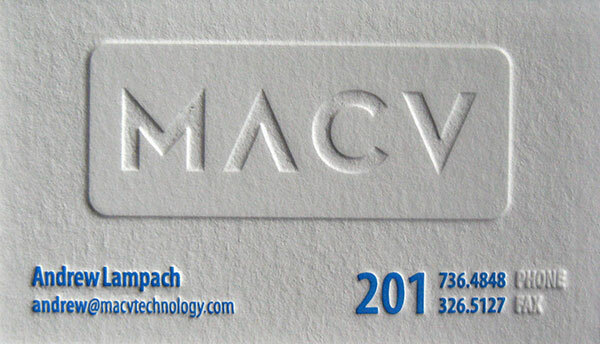 You may observe certain apt examples of UV printing techniques on www.Signazon.com. 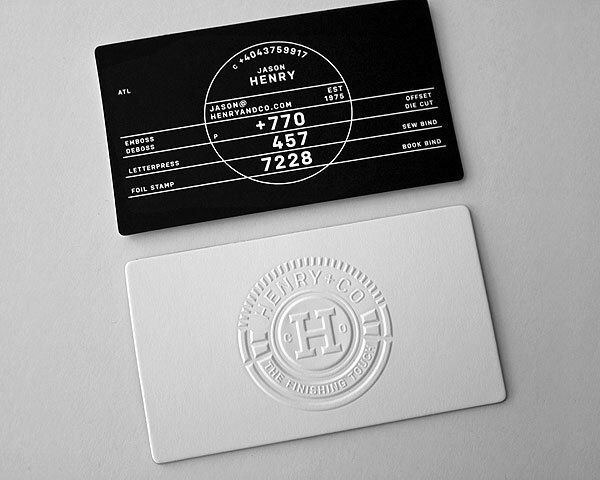 Through the technique of Embossing, heat is generally pressed into the card, in this process there is no use of foil or any ink. 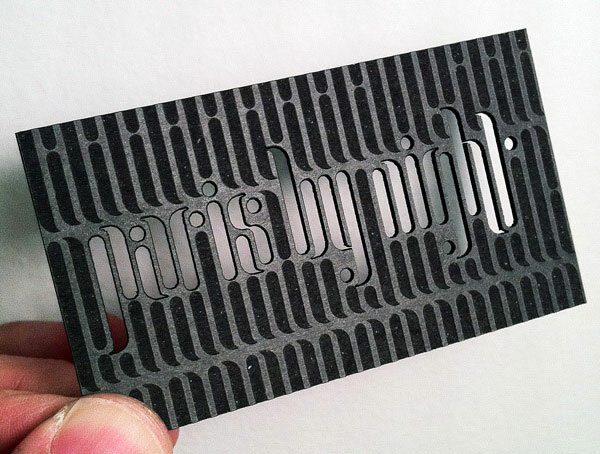 It is a way of giving a dense texture to the business card. On the other hand, in the process of Debossing, the things are reversed than Embossing, it gives the same effect but paper is actually pressed instead of bulging out. It creates 3D visual effects. 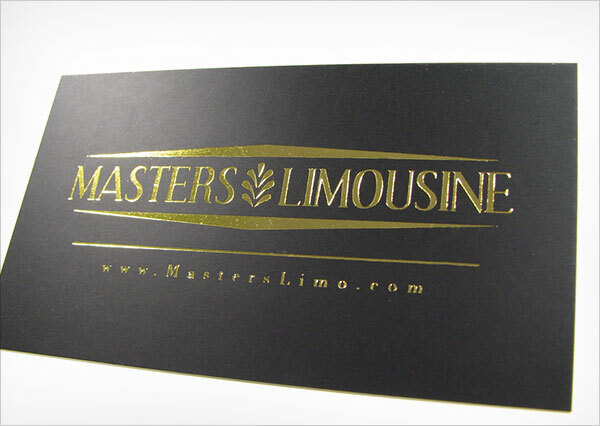 These embossing and debossing effects can be applied on both logos and letters. 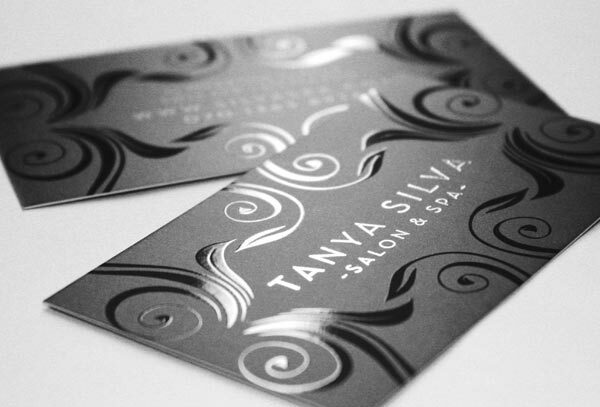 Foil is another form of printing which gives a very fine and nice shinny texture to the business card. 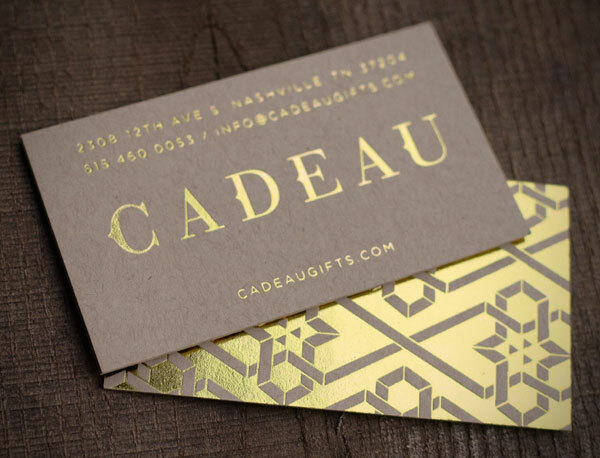 A colored foil is pressed into the card paper with a heated die to make the card look impressive and elegant. 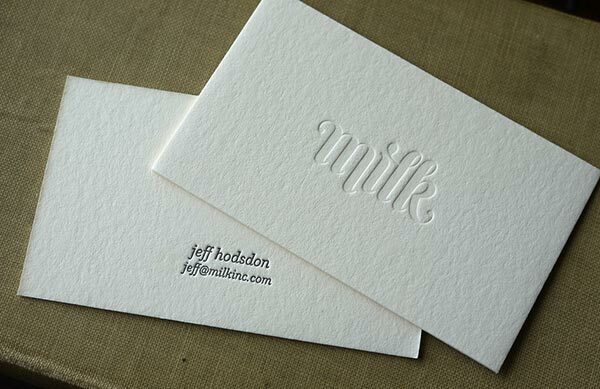 Usually logos and typography are enhanced by this printing technique. 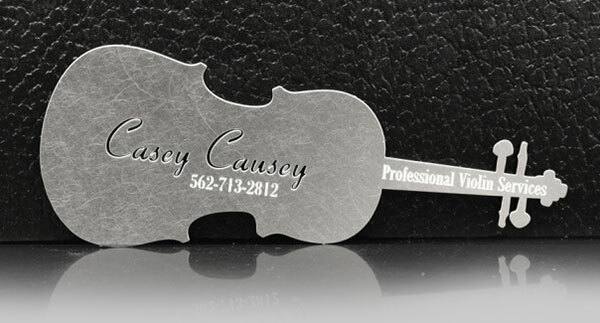 Die cutting has become way too popular in terms of business cards. 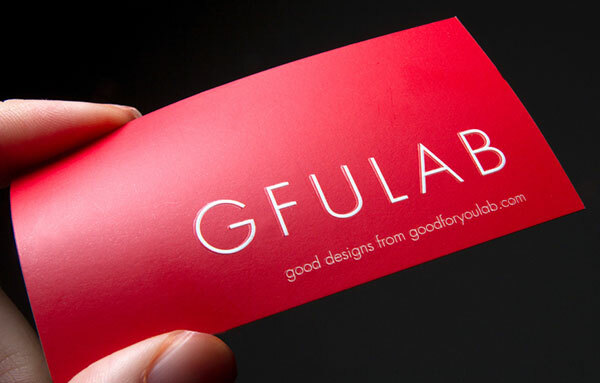 Now graphic designers are cracking the nuts of old format of designing and making business cards in new ways. 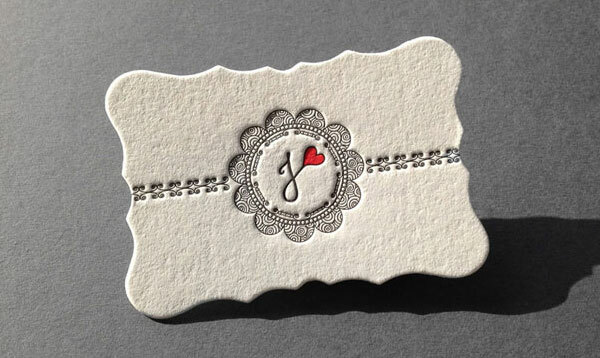 Through the simplest die cutting, card is cut into different shapes as per the requirements just to make it look unconventional and unique. 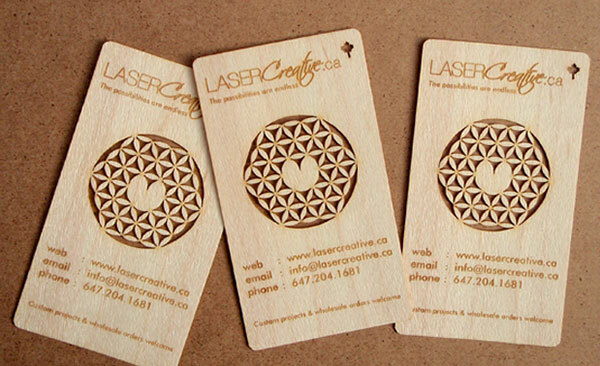 Laser cutting is another printing process which is to cut the materials through the help of laser. 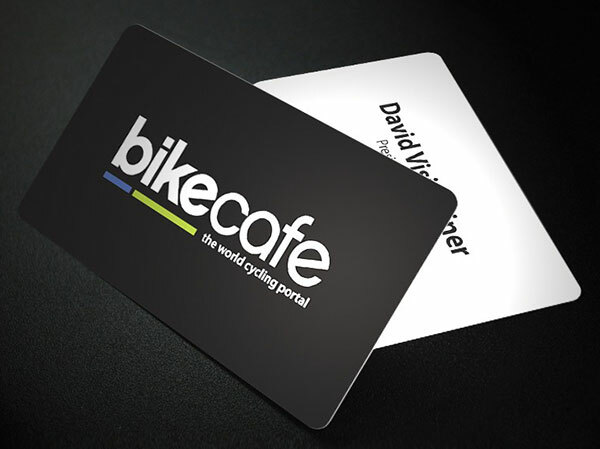 It is a remarkable way to make out the best possible business cards according to the taste of the clients. 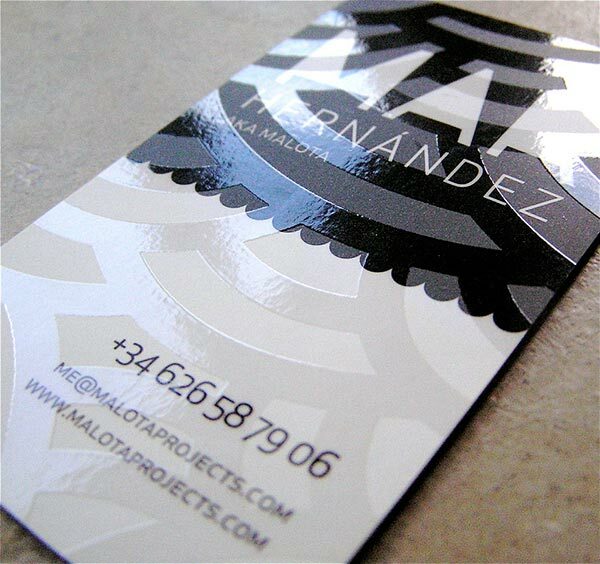 Matte lamination provides a very good protective layer to the business cards. It is dim and dull to give a very decent look to the cards. On the other hand, people also like shining and glossy lamination which is softer, water-resistant and silky. Either way it is like a ‘protective shield’ to the cards. I hope this informative post will help you through the various techniques that are used while printing business cards. The Amanda Woodward card is awesome! 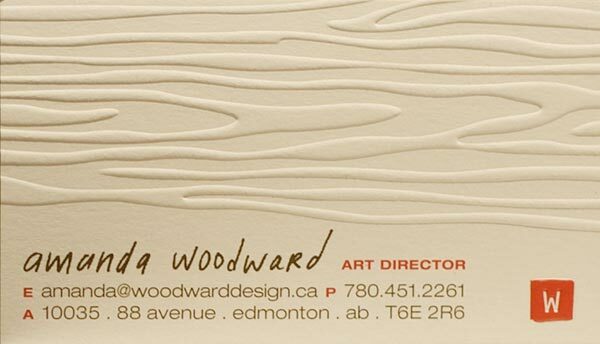 The embossing wood texture brings the card to life! Great post!